but how do you find the time? In a recent show my advanced dancers and I were in the middle of a Tribal Odyssey set when somebody cued the Flare-Kick combo while we were in a circle. My be-here-now focus must’ve been off by a beat or two because I missed the cue and never did catch up. Naturally this particular combination is an extra-long 16 counts, and involves turns and eye-catching arm moves – plenty of time for the audience to notice any irregularities! Oh well. Wouldn’t you think that several years after creating the combination and plenty of time spent teaching and dancing it, I’d be bullet-proof in terms of boo-boos? Not so much. So I featured this long but simple combo in drills of the smallest bite-size chunks in class this week, and will continue to do so. My dancers actually love drills, and they’re quick to point out we have so many combos now that getting them all into drills on a consistent basis is hard with such limited class and rehearsal time. How do you handle drills for a large repertoire of “group choreography” combinations? Do you have any pointers? Is is just that we need another hour or two a week? That solution seems unlikely. I previously wrote about our Skirt Moves here: we got skirts and we know how to use them – a title that seems ironic now! I think we’ll know how to use them better if we continue our Skill Drills! that’s me behind Galiyah, trying to keep up! Here I chronicle the continuing evolution of Tribal Odyssey Bellydance (TOBD). 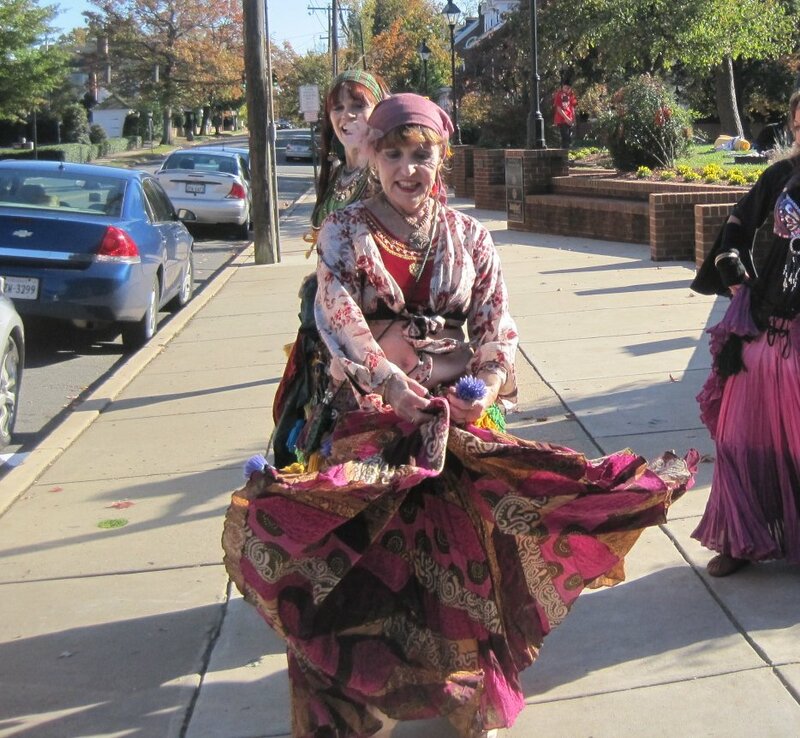 I also post on my Dancing Through Life blog about belly dancing after 2 Total Hip Replacements. And YouBellyDance has learning and performing strategies for belly dancers. See TObellydance.com for how-to videos, resources, info. Follow Anthea Kawakib's board Tribal bellydance costumes on Pinterest.